Yachting New Zealand CEO Dave Abercrombie is coming to visit the Northland Yacht Clubs. YNZ will be holding two meetings in Northland, one at the Bay of Islands Yacht Club on Tuesday, 8th October at 7.30 pm. The Other meeting will be held at the Onerahi Yacht Club on Wednesday, 9th October at 7.30pm. David has extended an invitation to all club members of Northland Yacht clubs for a question and answer session and to discuss the new strategic plan that we hope will guide Yachting New Zealand and our clubs for the next four years and beyond, refreshments available. YNZ will also outline the new sponsorship deal between Volvo and YNZ. So put it in your diary and come and discuss the future of our sport. It will be great to see you at one of the meetings. Also … did you know that Yachting New Zealand has a fortnightly electronic newsletter called BRIEFINGS? 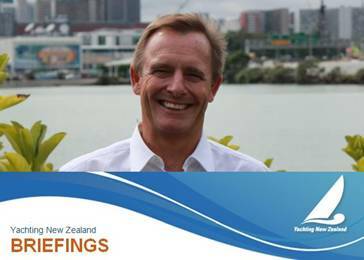 Briefings is a very informative newsletter full of information about what is happening on the national and international stage with sailing in New Zealand. Get Briefings email newsletter straight to your inbox every two weeks. Click here to sign up for Briefings and other newsletters.